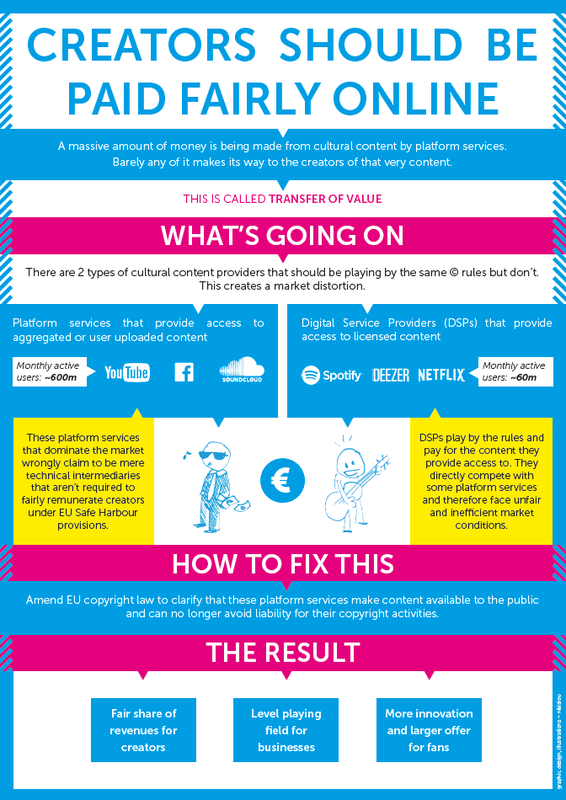 The European Parliament is preparing to vote on one of the most important legislative acts of the last 20 years for the rights of creators of all repertoires. In the run-up to this historic vote on June 21, CISAC is calling on members of all of its companies to send a strong message by signing the MakeInternetFair petition on the transfer of value, to support a legislative proposal which will provide creators with fair bargaining rights for the use of their works by services such as YouTube. If this proposal is adopted, the rights to the millions of authors whose works are used by major technology groups will be clarified and strengthened. More than 27,000 creators have already signed. By signing this petition, creators of all repertoires have the opportunity to make their voices heard by lawmakers who have the power to make positive changes.